Reducing catheter-related bloodstream infections remains a challenge for many hospitals. In a recent survey by the Association for Professionals in Infection Control and Epidemiology, 40 percent of respondents said their hospitals had been targeting CRBSI reduction for up to 10 years, but nearly half said CRBSI's are at least somewhat problematic at their facility and fewer than one in five reported zero infections. Hospitals that have reduced their CRBSI rates to zero or near-zero use a straightforward five-step checklist developed by the Michigan Health & Hospital Association and Johns Hopkins University. The Hopkins checklist, as it is commonly referred to now, includes simple steps such as hand washing by all staff, but usually calls for a cultural shift toward greater equality among team members. And that requires executive commitment. "To succeed in using the checklist, senior management needs to get visibly involved," says Gina Pugliese, R.N., vice president of the Premier Safety Institute. Pugliese suggests making scheduled rounds to the front lines to observe and offer support to staff as needed, especially in cases where physicians may resist the new process. In-house publicity is also important. 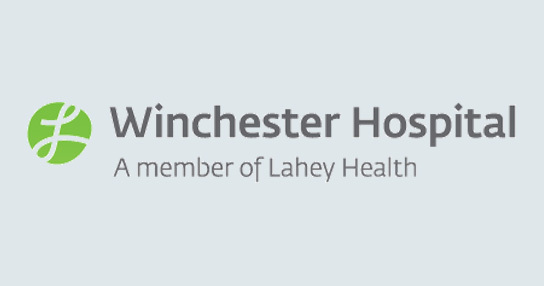 Kay Deackoff, infection prevention specialist at Winchester Hospital in Massachusetts, says the hospital went 37 months without a single ICU IV-associated bloodstream infection. "CRBSI reduction is discussed regularly at all leadership meetings and findings are cascaded to the staff level," she says. "Leaders and staff alike are empowered to make changes and implement strategies whenever appropriate for improved patient care." South Carolina's Georgetown Hospital System reduced catheter-related infections by about five cases annually to near zero. Roy Gilbreath, M.D., vice president of medical affairs, says that CRBSI rates are followed monthly by both the hospital board and the quality council. The board delegated CRBSI reduction oversight to its harm-reduction committee. Most implementation costs are for redesigning a process: meetings, training and monitoring for compliance, Pugliese says. Costs will vary with the size and complexity of the hospital. Gilbreath estimates Georgetown's first-year equipment expenditures at about $20,000, with half of that recurring yearly, compared with an industry estimated average cost of $30,000 per case. The American Hospital Association is working with state associations and collaborative groups to support hospitals in CRBSI reduction. Nancy Foster, the AHA's vice president for quality and patient safety, points to the On the CUSP: Stop BSI initiative led by the Health Research and Educational Trust. HRET recently announced the availability of $5.8 million to support CUSP participants. The funds are part of an Agency for Healthcare Research and Quality grant that HRET administers. This article 1st appeared in the September 2010 issue of HHN Magazine.